Rebekah Craig founded Rebekah Craig Footwear (previously known as Mbuba) in March 2014, where she designed and manufactured comfortable and fashionable high heels. 3 months after launching her product in New Zealand, Rebekah was profiled by New Zealand Business & Innovation Magazine, Idealog and also featured in M2Woman magazine as one of 6 rising female entrepreneurs in New Zealand. In mid-2015, her innovative high heel design was accepted into the R&D program at the New Zealand Product Accelerator, where she is researching material and design methods to design high heels that retain stylistic integrity, while reducing the risk of lower limb injuries. While building her startup, Rebekah has also been an Operations Manager in a tech SME in Devonport. Rebekah became the founding President of the flagship JCI Auckland chapter in April 2015. Under her leadership, she grew the membership base of the Auckland chapter to 85 members within 9 months, and a database of 200 active subscribers. Rebekah is also the chairperson for the JCI NZ’s Young Leaders in Business Forum to be hosted in on 11-13 March, 2017. The Forum aimed to develop empathy and agency in young professionals to lead more inclusive and sustainable businesses. 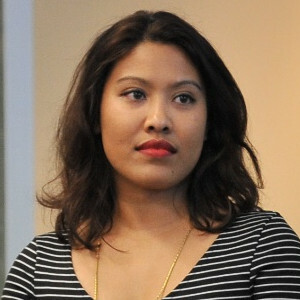 Rebekah earned her Bachelor’s Degree in Political Science and Sociology from the University of Auckland.